Forensic investigator Paul O'Sullivan. Picture: Refilwe Modise. ‘I have been kidnapped, twice, and tortured and been regularly subjected to the abuse of my constitutional rights,’ the forensic investigator says. 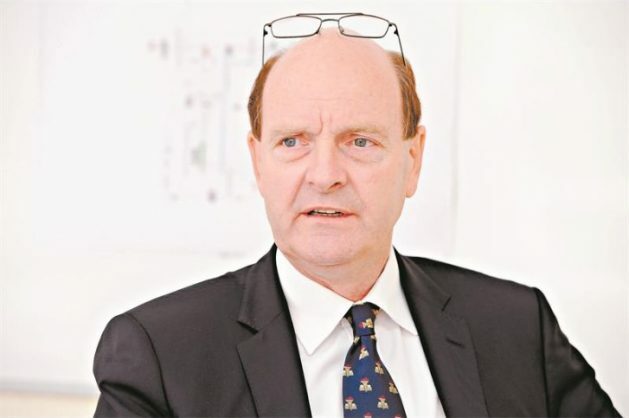 The R156.8 million claim forensic consultant Paul O’Sullivan has instituted against various parties may get their attention, but it won’t buy the nearly four years O’Sullivan has spent fighting what he called malicious prosecution. That’s according to the feisty Irishman, known for his abrasive e-mails to everyone who has crossed swords with him, and this time he’s taking on the National Prosecuting Authority, the ministers of justice and police, prosecutor Jabulani Mlotshwa, Gauteng Hawks boss Major-General Prince Mokotedi and police warrant officer Jacobus Vlok. O’Sullivan is also suing former head of detectives Lieutenant-General Vineshkumar Moonoo, former Colonel Amod Hoosen, former acting police commissioner Khomotso Phahlane, former SAA board chairperson Duduzile Myeni and prosecutor Molatlhwa Mashuga. Former associate Melissa Naidu is joining O’Sullivan in the action and, together, the claim rises to R163.7 million. “The said investigations and the actions of the first plaintiff aimed at the exposure of prominent and high ranking state functionaries have resulted in various acts committed by state officials employed by the South African Police Service, the Hawks and the National Prosecuting Authority intended to harass and to intimidate the first plaintiff which acts ultimately culminated in malicious and unlawful arrest and detention, alternatively wrongful arrest by certain police officials and the malicious instigation of, or causing the institution of criminal proceedings against the first plaintiff on various criminal charges without reasonable and probable cause,” reads O’Sullivan’s opening salvo in his court papers filed on Friday. On his Forensics for Justice website, O’Sullivan wrote his personal cost had been “very high”. “I have witnessed multiple unlawful raids on my offices. I have seen my attorney being kidnapped and driven around at high speed for hours,” he said. He’s most irked at being dragged off a plane and arrested in front of his daughters over an obscure law which required naturalised citizens to pass through passport control on a South African passport, and not the passport of their country of birth. O’Sullivan is the only person prosecuted under this law so far, and the case failed.